LinkExchange SearchMe WhatWeDo AboutUs Sitemap Next page A potato line for grading Samsø potatoes. A potato line for grading Samsø potatoes. Grading the Vildmose potato is a complex process due to the potato's very shallow eyes and smooth, thin skin. The objective was to build a user-friendly, reliable and flexible system, capable of running with just a single person or truck driver. Therefore, a special solution was developed, based on standard SKALS specifications. The solution consists of an installation with an inlet hopper for trucks, boxes and bags' silo. From this point, a cross-flow pintle belt runs to the soil extractor. After the potatoes have been cleaned, the next step is the brushing machine, before heading towards the roller inspection table. Once the potatoes have been manually inspected, they go to the grading machine and eventually down to the box fillers. The box fillers are equipped with automatic shifts, allowing the system to continue to run, even while shifting boxes. Following close consultation between the client and SKALS, the above layout was selected. Both parties saw their ideas made reality. The new Aksel Nielsen potato grading line. The process in the new system has been fully optimised, making it possible to place the inlet silo in several positions with a cross-flow pintle belt. For Aksel Nielsen, it is crucial that the system can be used for both storage and grading. This is particularly important, due to the special soil conditions that Vildmose potatoes are grown in. Due to the large amounts of rain, the thick layer of sphagnum (peat moss) can complicate the working process in the potato fields. This means that the potato grower is often forced to postpone the harvest, to avoid the sphagnum soil turning into big lump of mud. This presents an additional challenge that other potato areas do not have to face. One of the unique advantages of the new grading system is that Aksel Nielsen is able to grade the potatoes in three different sizes with very high precision. 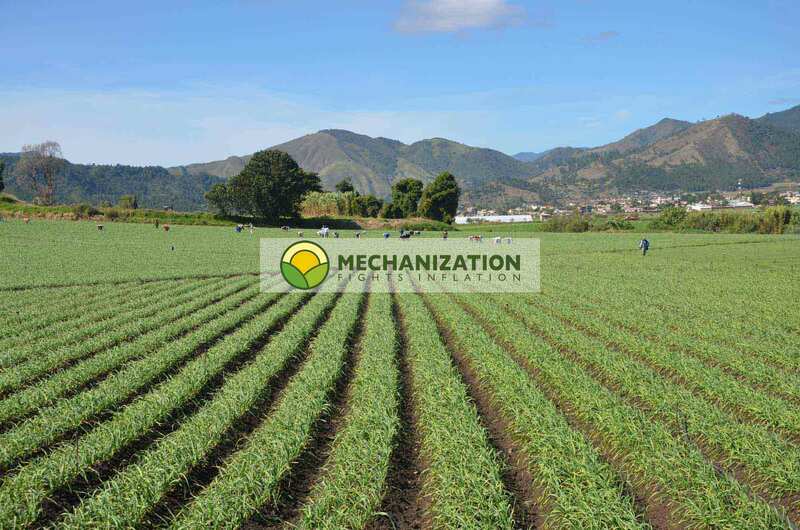 The system allows the potatoes to be graded in a quick and efficient manner, thereby allowing the potatoes to be sold at a better price. The grading system has also significantly reduced noise levels. Since the installation of the new system, there has been no noise in the production area, and Aksel Nielsen is even able to use his mobile phone while working near the grading line. This was not possible before. Additionally, extraction has been applied to the system to remove dust in the air. This has improved the working environment significantly. Since the Vildmose potatoes are never washed, the brushing machine is essential. Therefore, Aksel Nielsen has chosen a brushing machine with extra high capacity. Once the potatoes have been through the brushing machine, they actually look as if they have been washed. 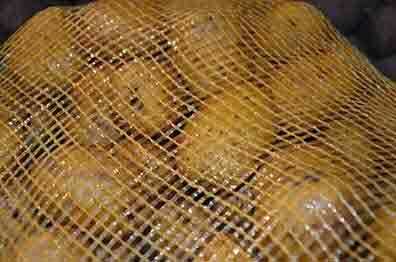 It is a clear advantage not to wash the potatoes, as bacteria and the spreading of diseases is avoided. Inspecting the quality of the potatoes is taken very serious here. 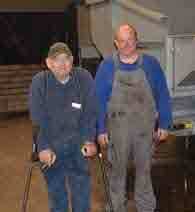 Aksel Nielsen and his father Ole Nielsen have both been loyal SKALS customers for more than 30 years. Choosing SKALS as their supplier was an easy decision, and they have always enjoyed a highly satisfactory and professional relationship, process and service. Brushed, but not washed, bagged potatoes. One of the special things about the Vildmose potatoes is that they are not washed. The customer is able to see and feel the natural skin of the potatoes. Next up: A potato line for grading Samsø potatoes. 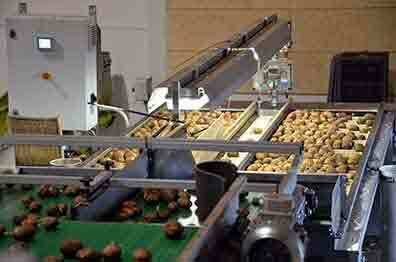 This potato grading line was developed in close consultation between the client and SKALS. The line had to ensure these potatoes were treated with the utmost care, given their very thin skins and shallow eyes. See more information on Store Vildmose Potatoes.